April 2016 - Amazing Blessings! We are so thankful for all the wonderful blessings that our Lord and Savior has been pouring out upon us recently. I have to share that I stand in awe of God's goodness and grace. Even in times of trials and problems, God stands solid behind us and continues to demonstrate his faithful love and grace through His love for the children and staff of Sonshine Hacienda. He never fails us...even when we have felt discouraged recently. God has heard our prayers as we lifted our hearts in praise to Him...in thanks for his hand of protection over every problem, every child and every gift of joy that we have received. Please keep praying. Your prayers are effective! One of our biggest problems has been staffing needs at Sonshine. It has been even a bigger problem as we have added children to our Sonshine family, and the result is that we need more staff. We have been puzzled by the fact that no one seemed interested in working at Sonshine. So, we prayed & analyzed our problem from all angles. We then made a plan. We hired an announcer car to visit all the neighborhoods in San Felipe with a recorded advertizement. We announced our wages and benefits. People started calling for interviews. After hiring four new staff members, we were able to shorten all the staff's work day to 8 hour days. Praise God!! Hopefully this will help our fatigued workersget that smile back. God has a plan...sometime we simply need to seek his wise counsel. Another recent blessing has been new Volunteers stepping up to help at Sonshine Hacienda. What a blessing this has been. We have volunteers working with our toddler age children in the mornings. We also have volunteers helping with driving the children to school, helping with cooking one day a week, working two days a week in our new clothing storage room...WOW. Showers of blessing!! In Spring we participate in fundraising events. They provide funds for special projects and items. Check it out! 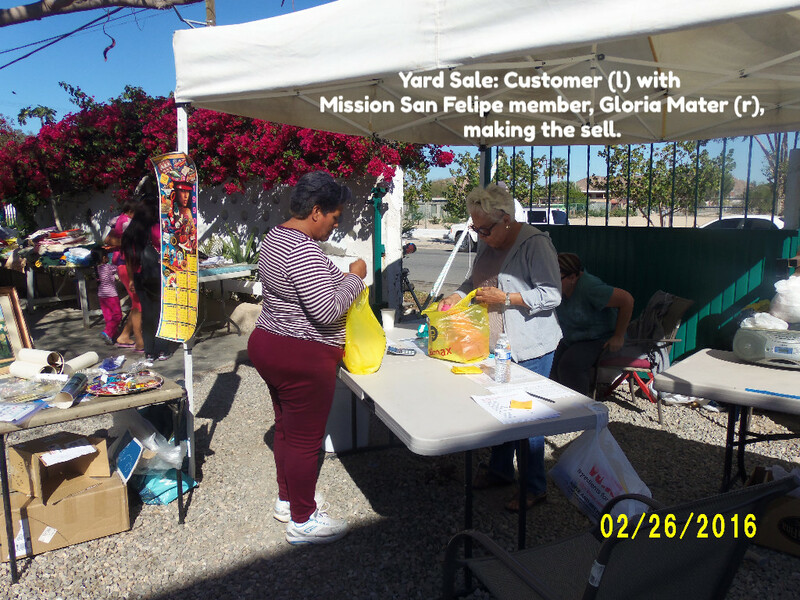 This is our eighth year for Mission San Felipe's annual “yard sale" for Sonshine. It takes place at John and Bonnie Gilbert's. Once again, people donated great stuff. We raised $4,000 in two days. 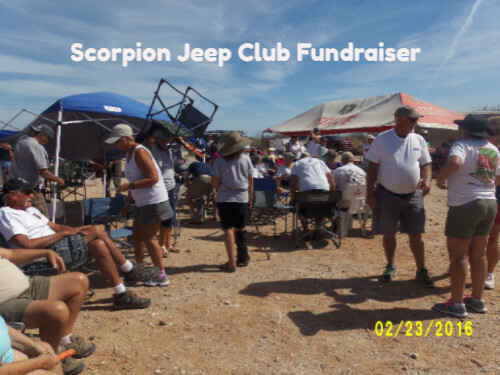 The Scorpions Club had their event in spite of the wind. Participants do fun events in Jeeps. Admission included lunch! A Silent Auction and Raffle was held with great prizes. The event raised $4,000! The Blues 'N Arts Festival was March 19th. What a great success! Such great bands participated! The weather was perfect and the attendees loved it. KYMA (NBC)from Yuma, AZ, covered the event and visited Sonshine Hacienda to tape the children. Can't wait to hear how much was raised for Sonshine! Thanks, Sandy, for holding a bake sale for Sonshine! This donation will refurbish the sofa in the main room. Our New Pride and Joy: A Stove! Isn't it pretty? We sure think so! 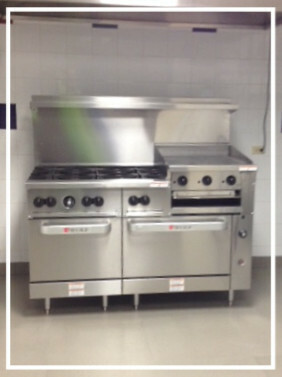 This is the stove we have been praying for! We had been using an ancient commercial stove, but it was only partially working and served its purpose for a time, but we had been praying that we could replace it soon and that time arrived thanks to the generous gift of this beautiful stove from One Church, located in Spokane Washington. It never ceases to amaze me the depth of love that God's people have for the precious ones here at Sonshine. We thank the members of One Church. Our cook has a huge smile on her face...she loves to cook on our new stove.